When I started “Kites” I had one thing in mind. This painting must give that colorful summer joy and happiness. Kites and beaches are important ingredients. In The Netherlands we have relatively short summers. In spring we are always waiting for that first special day with a mild temperature and a clear blue sky. And during fall, we hope we will get one extra summer day. Those days are most welcome. I hope this painting will give us a bit of that specific summer feeling of one of those days. 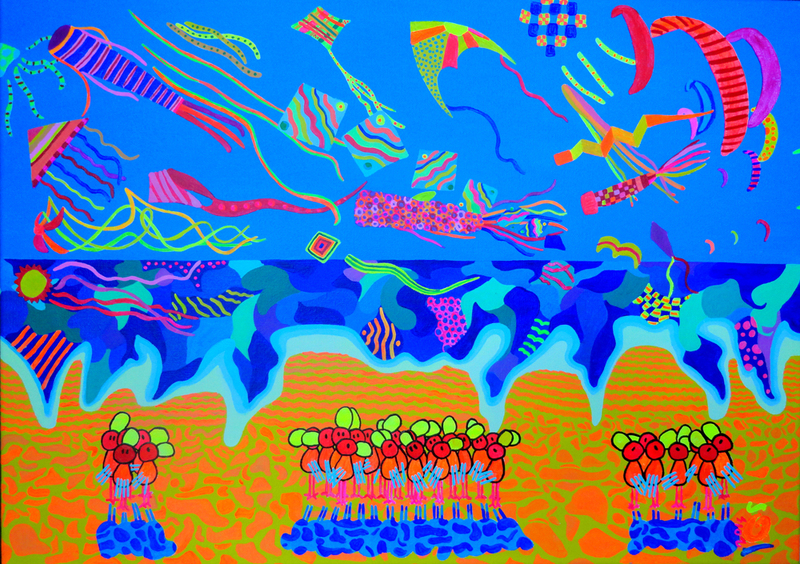 Kites is inspired by a beach in the North of France 2013.